With the IIoT this is especially problematic, as operational teams are accustomed to purchasing technology that can last years if not decades. But IIoT devices most likely won’t last years, validating your IT team’s desire to purchase new technology. You will have to find a balance between purchasing new technology and using existing technology. The decision will most likely come down to whether or not a new IIoT device solves a problem or makes a bigger impact on employees and processes. Most companies will need to do a cost-benefit analysis with the help of both IT and operational management teams to determine if (and when) a new upgrade would make an impact that’s worth the investment. Ultimately, I believe that waiting for what’s next at this point is a risky proposition. I recommend investing in flexible architectures that allow for a more agile approach to change, given how rapidly technology is changing and will continue to change in the future. This free, 30-minute webcast is the first of a 3-part series where experts – including Lora Cecere – discuss how the connected supply chain of the future can help you save resources, time and money. Offering training courses and compensation to continue education will prove to employees that they’re just as necessary now as they were before the technology changes were implemented. Leadership can help change mindsets by reassuring employees that they are not obsolete in the connected supply chain. This is an incredibly exciting time in digital revolution. 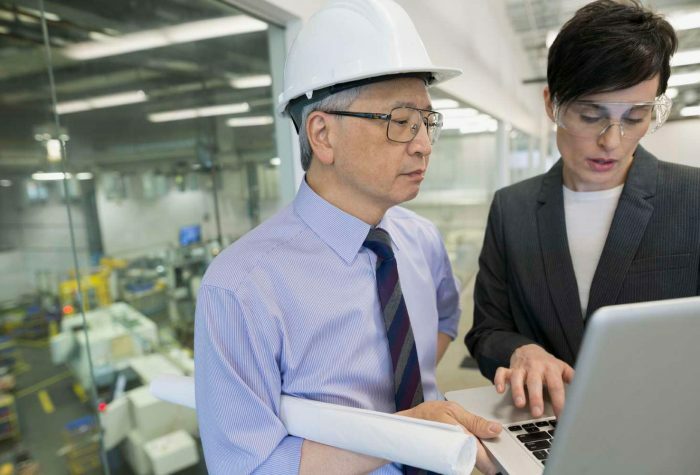 Those in the industrial market are poised to reap many of the benefits of the IIoT if they have the patience and passion to weather the immediate challenges. In this short video, Daniel Newman talks with Roger Thomas of SAS about the connected supply chain and how, IoT technology provides new insights that enable supply chain players to track, measure and optimize business performance like never before. Consider Maersk Line,4 which is one of the world’s leading shipping companies. It added sensors to its refrigerated shipping containers that transmit vital information – like temperature and location – to a central hub. A team of employees can now manage issues as soon as they arise, regardless of the container’s location. As a result, containers require less manual inspection and are arriving to their destinations with consistently fresh produce.